The March school holidays 2019 are a welcome break from school and we’re looking forward to trying out as many on this list of awesome activities as we can. Join us! The March school holidays are the first proper break that children get from school, and it’s a welcome one before the demands of term two kick in. So put the books aside and let the kids enjoy some of these awesome activities this week (and beyond). Many of them are new, some of which we’ve never featured before. Enjoy! Learn all about drones and fly one too, at IoT Academy’s introduction to all-things drone. 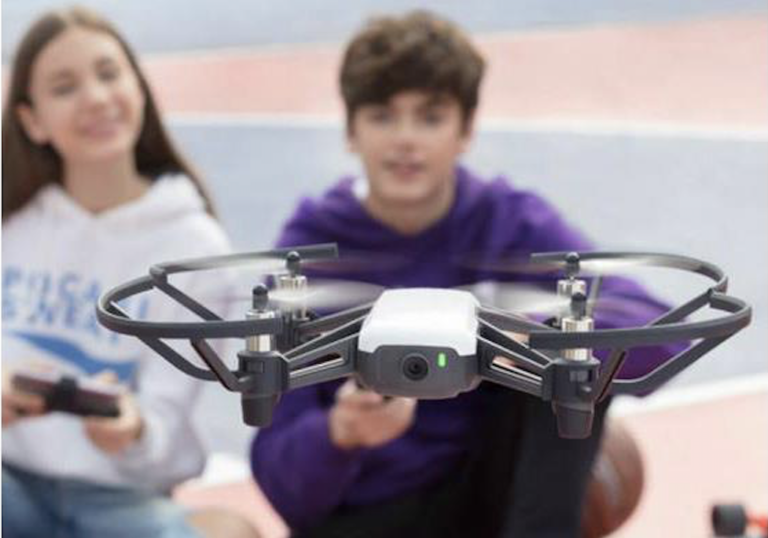 Kids will be taught about drone safety and regulations, components, and theory of flight, as well as get hands-on piloting a TELLO Drone, with which they can perform aerial tricks and take aerial photos. Best for children 7 to 17 years old. Is this the real life? Or just fantasy? Maybe both? Let the kids experience virtual scenes through more than 20 immersive multi-sensory experiences created by a new generation of artists – from stepping through a virtual portal to help clean a polluted ocean, or imagining the future of our cities through augmented reality, and be inspired through these to increase sustainability through technology and the arts. Organised by the National Arts Council (NAC), Arts in Your Neighbourhood (AYN) returns for its 12th edition. 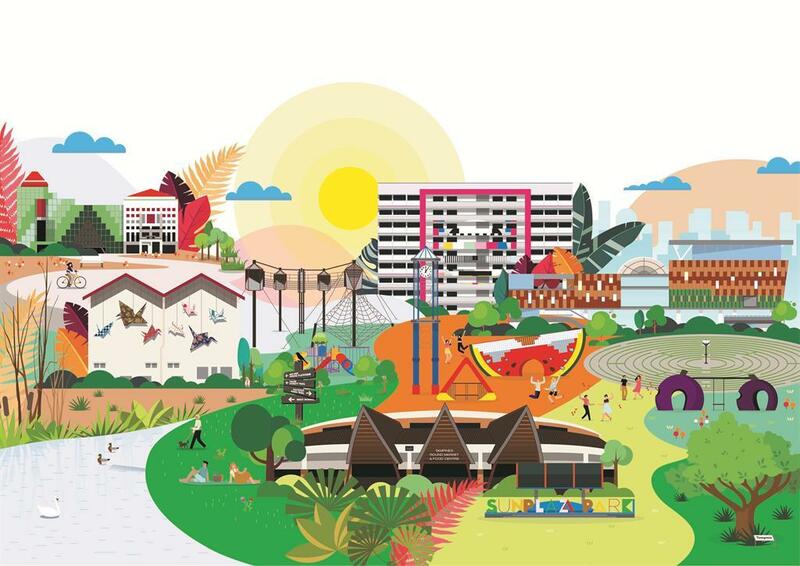 This season, the focus town is Tampines – Singapore’s third largest new town, once a rubber plantation at the turn of the 20th century, and home to sand quarries for a long time. Over 50 arts activities will be happening at 16 locations islandwide, close to half of which are inspired by the vibrant history and iconic sights and sounds of Tampines. Watch an interactive contemporary dance performance at the Tampines Round Market; music performances played from a roving musical truck featuring original melodies by Tampines residents; site-specific public art installations; and music compositions by local artists. They’re all family-friendly, and admission is free! 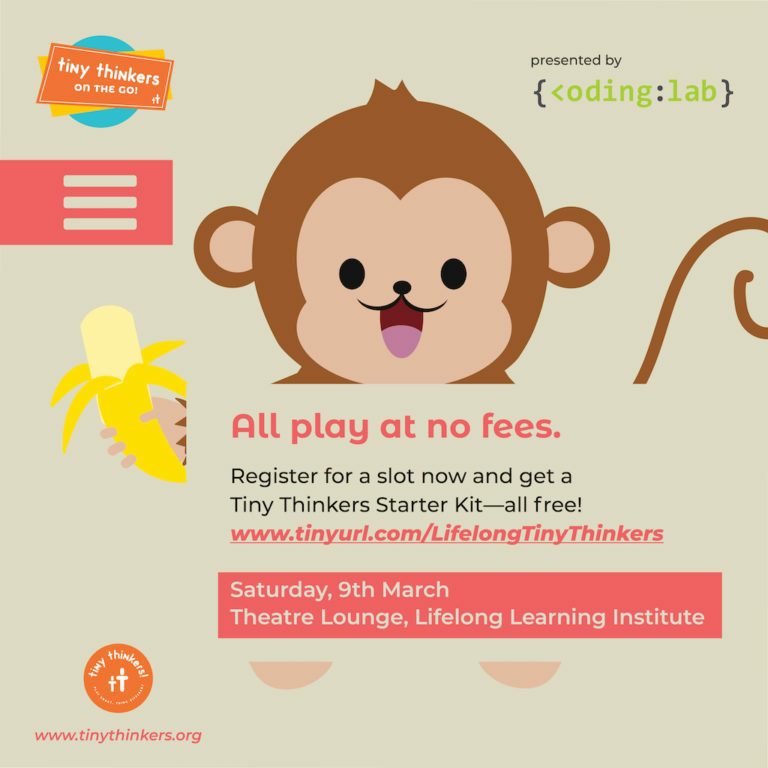 Tiny Thinkers, run by NTU students, teaches workshops on computational thinking — a thought process to formulate a problem and express its solutions through games. 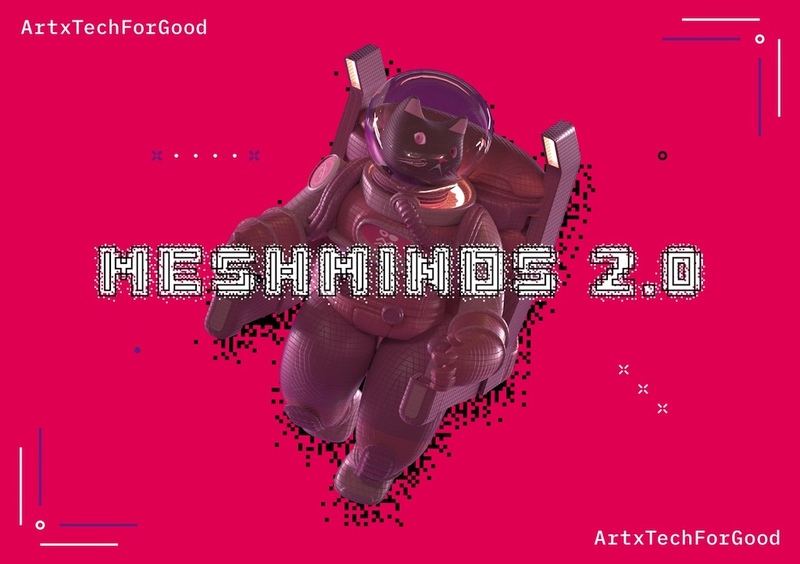 Don’t worry about it being too tech-y; these workshops are specially designed for children aged 4 to 7 years old (accompanied by an adult). Each family (two adults and two children) that registers receives a complimentary starter kit. Have you ever heard of a fractured fairytale? Watch one performed this holiday as Gloobaloo presents the Beware of the Bears Musical. 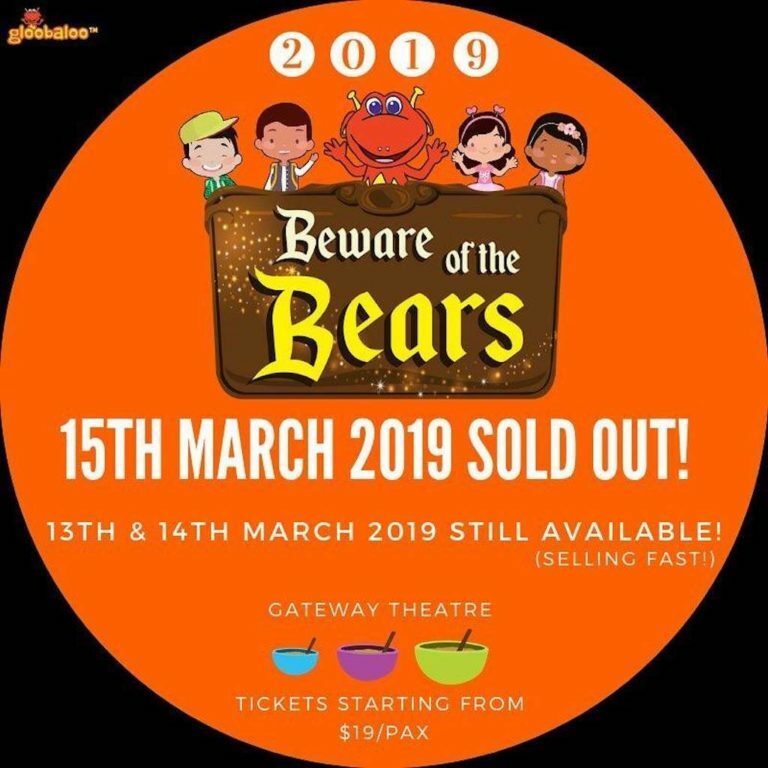 In this re-telling of the beloved fairytale, Goldilocks and the bear Bears will teach children moral lessons and values in a very special way. Suitable for children 1 to 8 years old. SingaporeMotherhood.readers who booking via the link below enjoy a special rate of $23 per ticket! The Festival of Fun is back! Enjoy thrilling acts and stunts at the Street Fest as well as games and crafts at the Nickelodeon Fiesta. Crafty fingers can MYO lanterns, flower garlands and more. And don’t miss posing with SpongeBob, PAW Patrol, Dora and the Ninja Turtles! Finally, for the first time ever, you can also enjoy the Nickelodeon Fiesta River Cruise free! Registration is required and slots are limited so book quick! For children, by children. 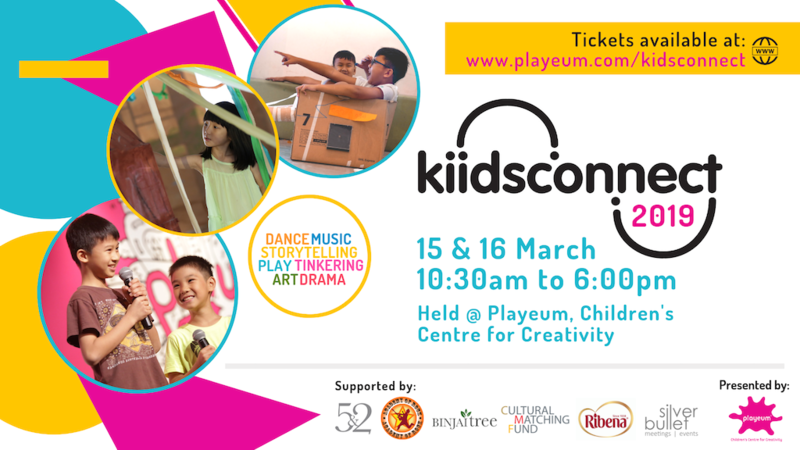 Spread over two days, KidsConnect features events scheduled throughout the day with young people hosting, facilitating and performing. They rule the day with – drama and dance performances, storytelling and roving buskers, booths marketing their hand-made wares, a rock concert, and even a specially designed interactive play world. Come play! Best for families with children 3 to 14 years old. Party in your best kebayas and batik shirts as the Singapore Heritage Festival kicks off with a bang – Peranakan style! Grab tasty bites and dine at the tok panjang on the street, visit the bazaar for one-of-a-kind collectibles, and dance all night to nostalgic hits and jazzed-up joget. Join in a wedding procession, and catch a fashion show and other performances, or get hands-on with nyonya-inspired craft workshops. 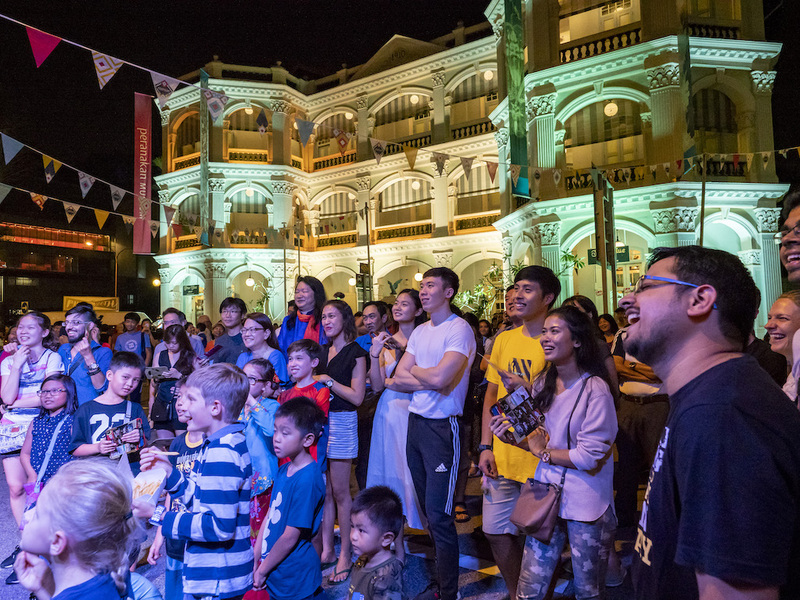 Visit the Peranakan Museum before it closes its doors for renovation, and celebrate this vibrant culture as the whole street comes alive for a farewell party under the stars! Mari buat lau jiat (Let’s make merry) with the kids this weekend at the Armenian Street Party! Build a more inclusive society for persons with Down syndrome at Our Tampines Hub. Join the event’s signature community walk at 8am, then have a blast at the family carnival as you watch performances from the DSA(S) Fusion & Creative Dance, DSA(S) Drum Prodigy Ensemble, DSA(S) Aikido and DSA(S) Zumba, and many more. 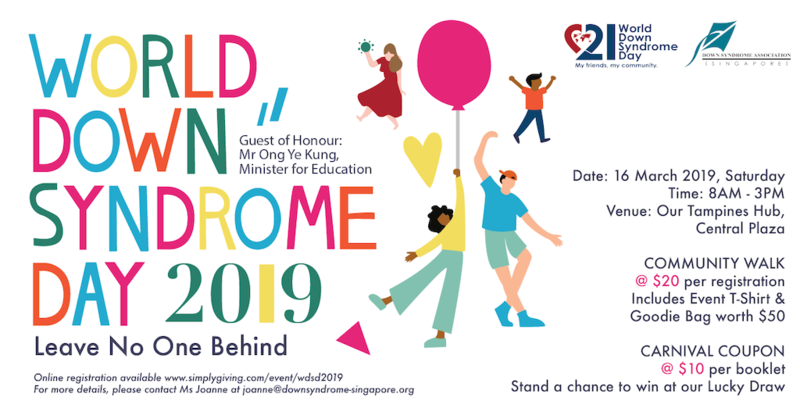 “Leave No One Behind” is the theme of this year’s celebration, highlighting the lack of understanding within the community about the potential of persons with Down syndrome, and the importance for everyone to come together, embrace differences and walk alongside persons with Down syndrome towards an inclusive society. 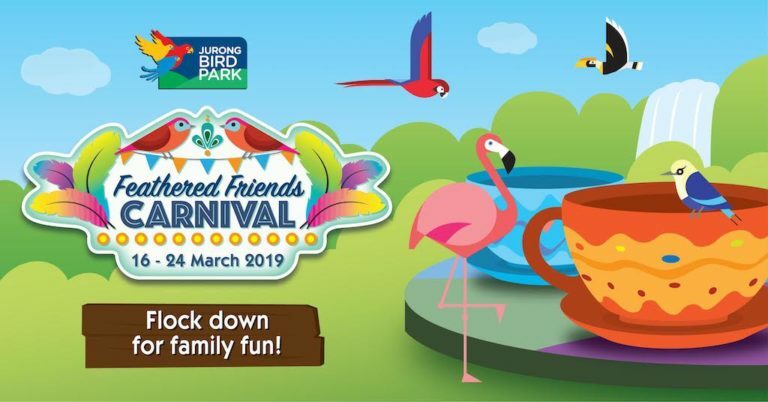 Flock down to Jurong Bird Park and get wild with feathered friends! There’ll be animal rides, a giant tea cup carousel, and game booths where everyone can win prizes! Young ones can also bounce to their hearts’ content at an inflatable pirate ship, or hop onto a paddle boat to have fun in the water. All visitors will also receive a complimentary game voucher (terms and conditions apply) worth $5 with every admission, and members can purchase $17 worth of game credits for only $15. P/S: Fancy visiting Jurong Bird Park more than once in a year? Sign up for a one-year membership at the price of a one-day full priced ticket! As a Friend of Bird Park, you’ll enjoy complimentary tram rides on weekdays and 20 per cent discount off food and beverage and retail purchases. 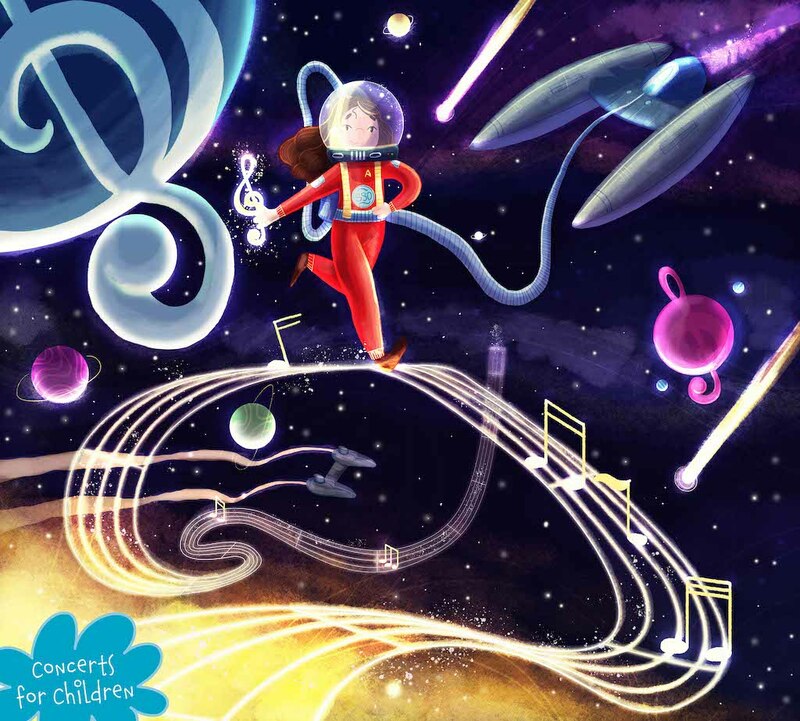 Hop on board for An Intergalactic Adventure with Victoria Concert Hall and the Singapore Symphony Orchestra! This concert includes pieces from Star Wars by John Williams, the Star Trek TV Theme by Alexander Courage, A Little Night Music by Mozart, and Mars from The Planets by Holst. It’s an excellent opportunity for young children to learn more about classical music! Suitable for families with children 4 years old and above. 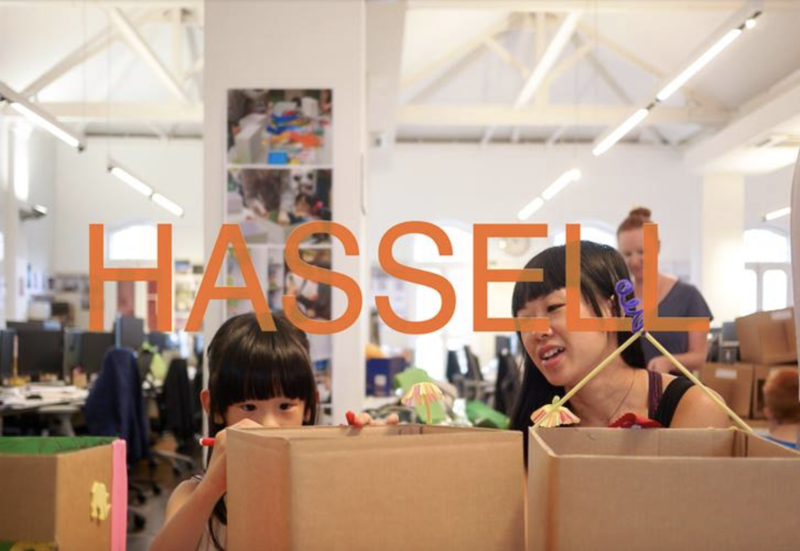 HASSELL Studio is a leading international design practice that focuses on designing buildings and places that are not just aesthetically pleasing, but offer patrons a sensory experience, creating a sense of meaning, connection and belonging. If your child has always wanted to reimagine their world or build a whole new cityscape, bring him or her along to the HASSELL Junior workshops taking place as part of Singapore Design Week 2019, and they can join the team of HASSELL architects, interior designers and urban specialists to dream up an amazing future together, creating a whole new world – according to them! 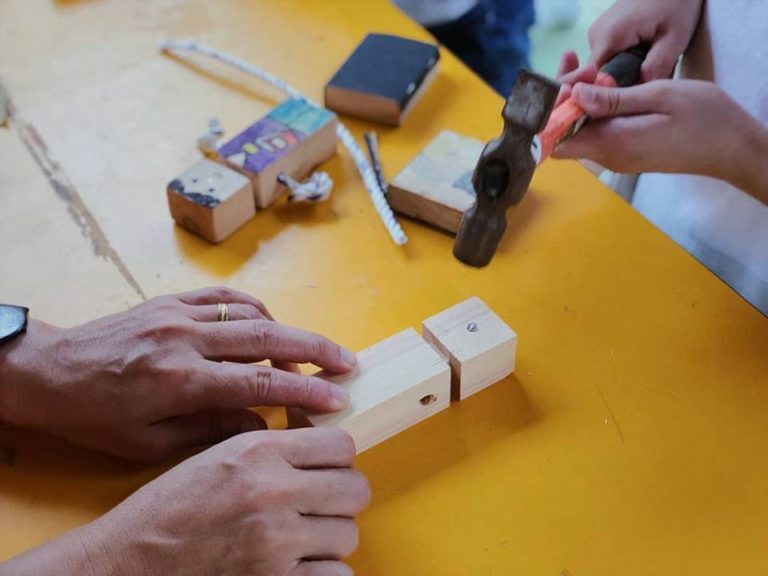 Using building blocks, draw tools, craft models and their own sense of experimentation, children will be engaged in fun and safe activities alongside these veteran, professional designers. Small design tokens and goodie bags will be provided for special young designers. 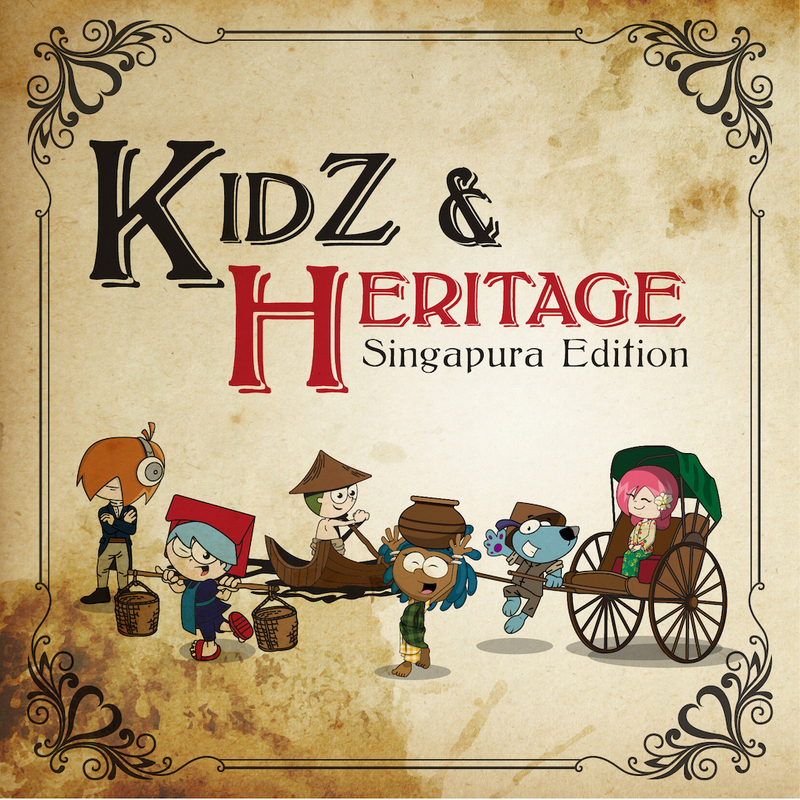 KidZania Singapore celebrates Singapore’s progress and achievements as part of its inaugural KidZ & Heritage event, with activities and opportunities that shine a spotlight on Singapore’s founding and development. Look out for event highlights likea Chinese Dance Performances, a Heritage Photo Booth by Canon Singapore, heritage role-play activities, and a ‘History of Singapore’ Trivia Hunt around the City! 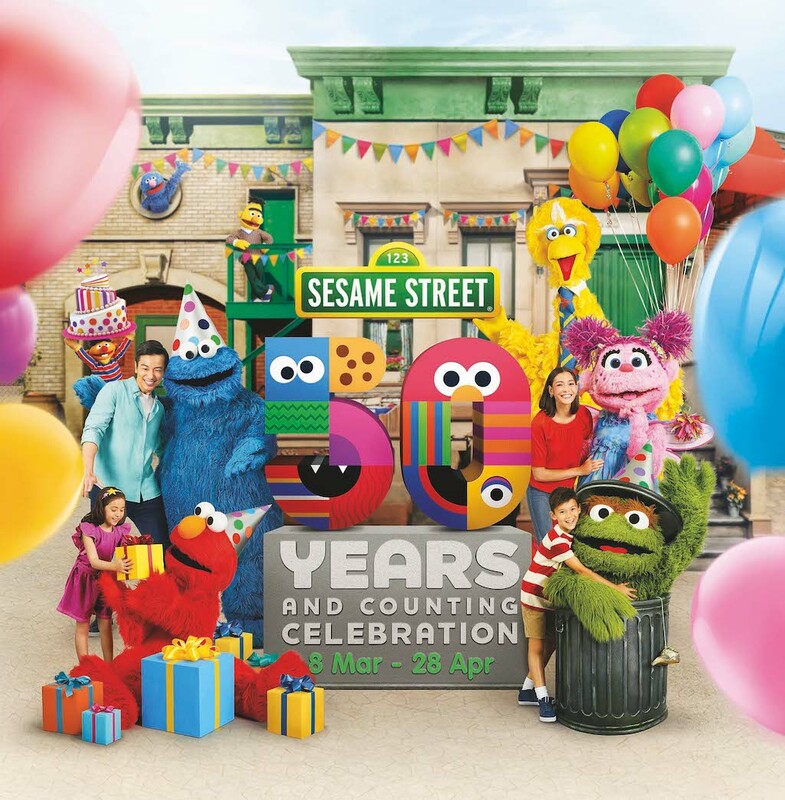 P/S: Come April, KidZania Singapore celebrates its third birthday and all three-year-olds enjoy free admission daily from 12 to 21 April 2019! Do your children love stories? Let them learn to write their own story and make their own book! 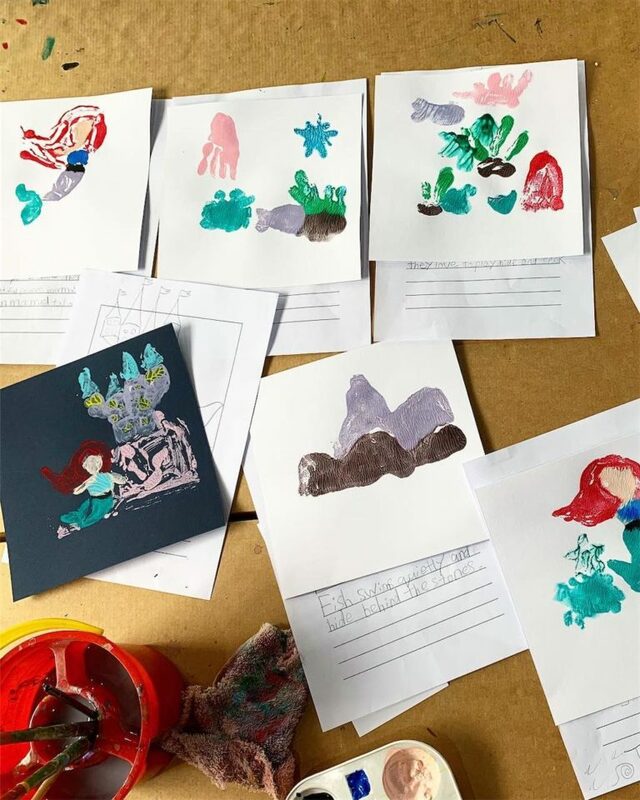 With the instructors from White Canvas Studio, kids can come up with a character, write the storyline, illustrate, print, and even bind their book. This day camp is suitable for children 6 to 12 years, and includes lunch. We love the Ground-Up Initiative’s (GUI) activities so we’re thrilled that they are (for the first time!) organising a Farmer’s Market where families can take part. Check out activities such as Intro to Bushcraft, the Bee Amazed Garden Experience, and woodworking with Touch Wood. There’ll also be a homeschooling families activities booth where you can speak to local homeschoolers if you are interested in taking your child down that path. 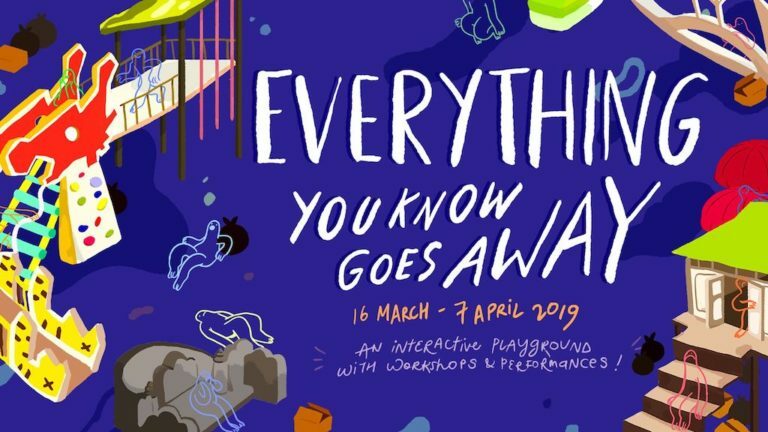 Furthermore, there will be free activities for one and all, including kampung free play, circus play, foosball, up-cycling, guided kampung tours, and more. DanzPeople has a great selection of dance workshops for children aged 3 years old and above. Tip: opt for the parent-and-child classes to enjoy some extra bonding with your little ones while getting jiggy with hip hop and jazz-infused dance-play. Sounds like fun? We think so too! We know how nature plays a huge role in helping to balance children’s development. 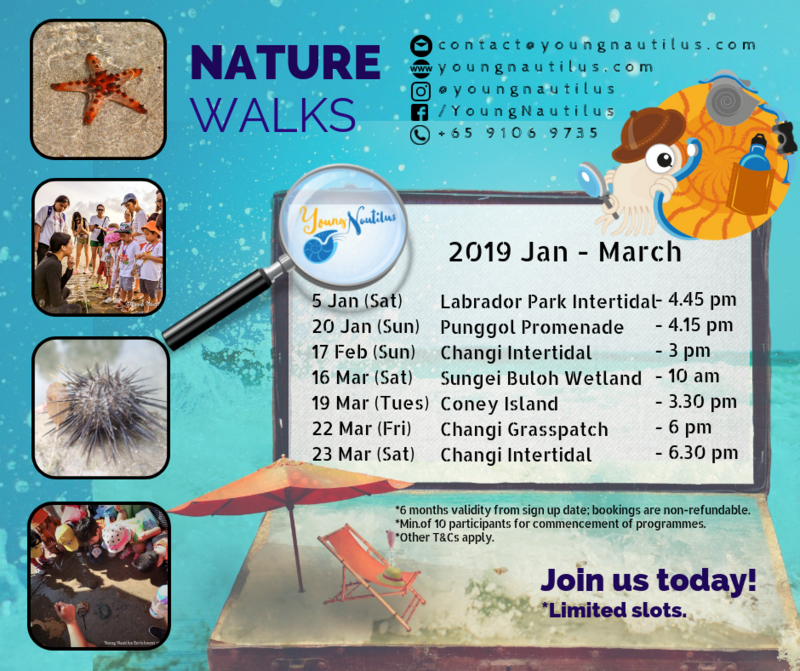 Immerse your young ones in it through nature walks with Young Nautilus. 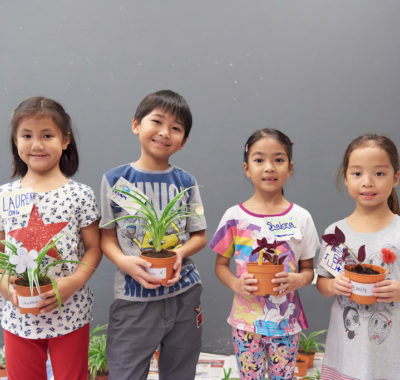 There’s one for families with children 3 years old and above (Sungei Buloh), ad one for families with children aged 5 years old and above (Changi Grasspatch). You can observe marine animals we city dwellers do not usually get to see, and learn how flora and fauna evolve to adapt to their environments. Drop-off programs are also available for older ones. The Substation is hosting a series with theme “The Vanishing, or Time Goes Away”, with an interactive playground, installation, children’s workshops, film screening, discussion even an interactive art experience with a four-course food tasting menu. 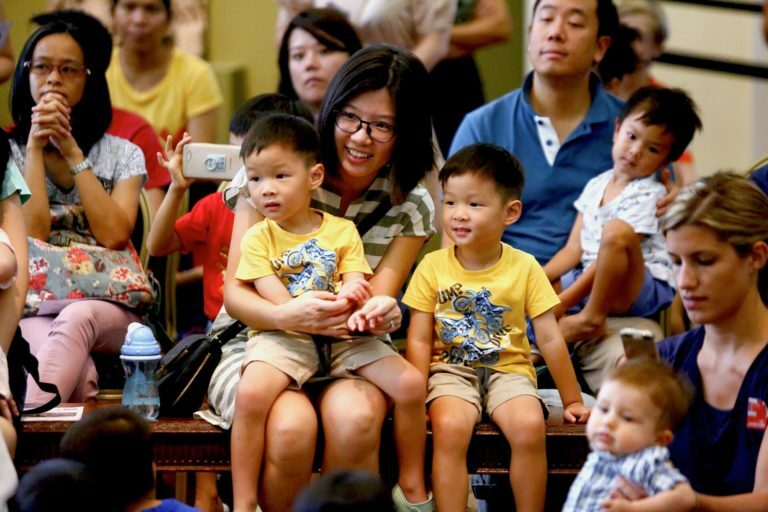 Children can take part in kueh-making sessions, Goodbye Animals workshop and storytelling, or interact with Annie Ting puppet theatre performance. Cost Free admission to the interactive playground. Workshops are ticketed. Want your kids to pick up financial literacy skills? Jopez Academy is hosting a two-day money camp, and graduates of this camp can go on to participate in the Little Big Boss Challenge. Camps for two age groups are available: 7 to 12 years, and 13 to 16 years. First, join a free tour around the 130-year-old museum building. Then at the Magic & Menace exhibition, parents and children can explore the activity stations and enjoy sensory play. 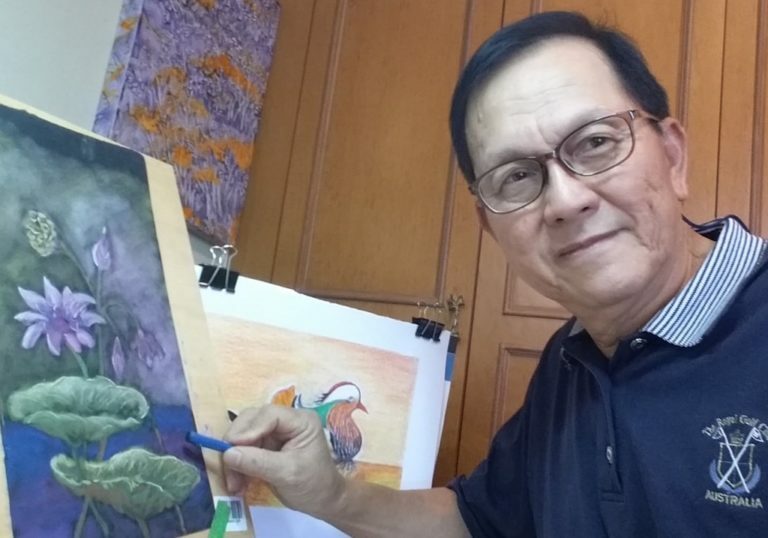 Round off the day with a crayon sketching session taught by nature sketcher Tham Pui San. 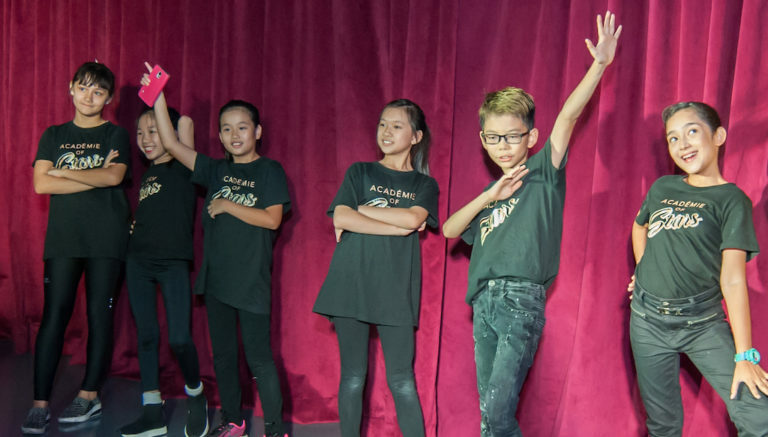 If your upper primary child is planning to do the DSA for performing arts, this could be their chance to get a edge. The Academie of Stars annual DSA Preparation Boot Camp coaches P4 to P6 students on how to use their talents for the secondary school direct school admission. Campers will put up a showcase for parents, and get to perform at Kidzania Singapore as well. 22. How about some Beer & Brunch? Kids and beer? Only at RedDot Brewhouse but don’t worry, the little ones won’t be drinking any. Instead, they’ll be playing at a Kids Carnival — with a bouncing castle, cotton candy, balloon sculpting, glitter tattoos, a magic show, performances, and more — while parents feast upon the Garden Fiesta Sunday Brunch. Kids can also make a pizza at a cooking class! Best for children between 5 and 12 years old. 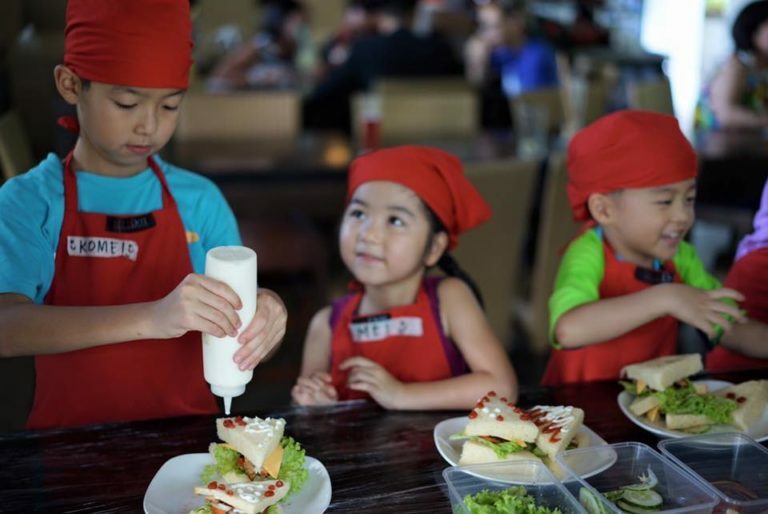 Cost $58 nett per child, including kid’s buffet lunch, cooking class, and all games. 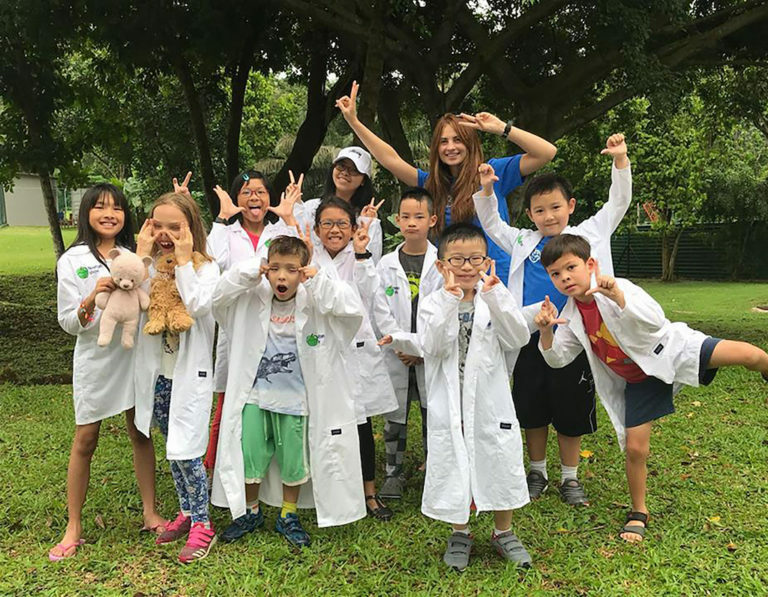 The Newton Show science camp has themed games and activities on Dinosaurs, Space, Human Body, Earth Formation and more. Daily lunch and refreshments are provided. Best for children from 3 to 13 years old. If it’s your child’s first camp away from you and you’re wondering what they’re doing all day, don’t worry. Videos will be taken and parents will get to watch these each day. 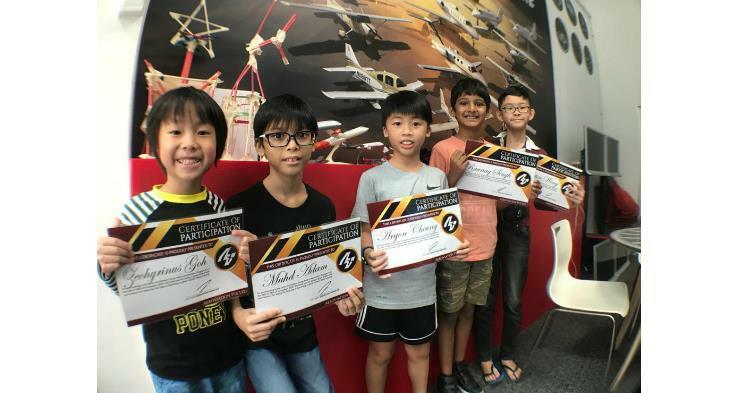 Budding aviators will love Aeroviation’s Junior Air-Venture, a 3-day holiday camp where they will learn aviation theory and practice it through flight simulators, virtual reality, and more. Best for children for 6 to 11 years old. 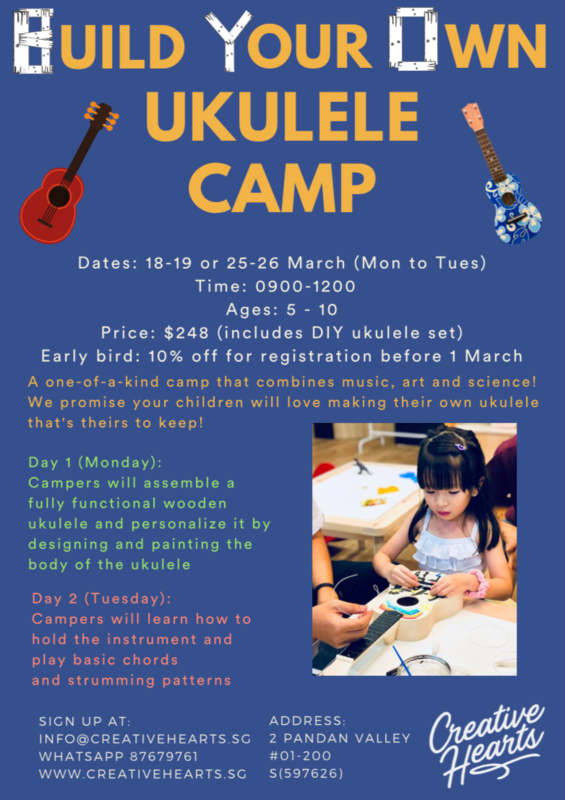 Children who like to tinker with their hands will love this two-day camp by Creative Hearts where they get to assemble a fully functional ukulele, personalise it, learn to play it, and bring it home. Suitable for children aged 5 to 10 years old. 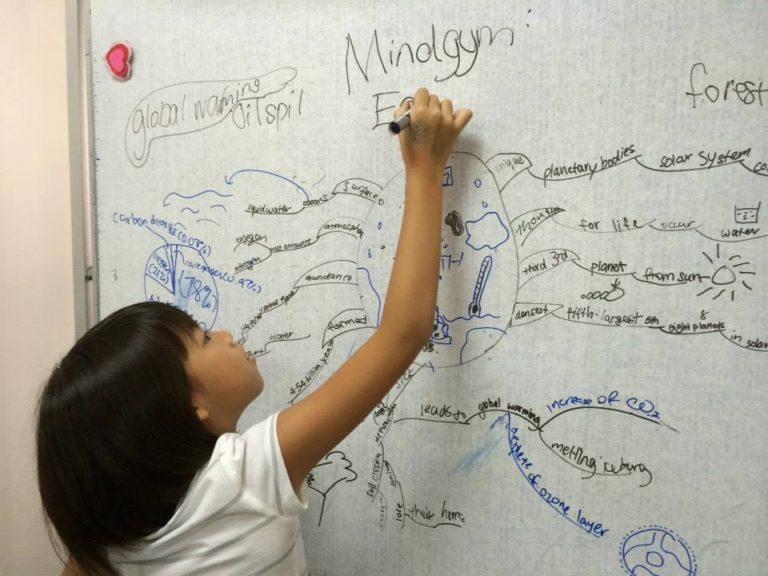 Mindgymn has a Mindgym Program where children can learn effective brain training techniques to enhance concentration, memory, logical thinking, creative thinking, critical thinking and more. Best for children aged 7 to 12 years old. For three days, children aged 9 to 12 years can take part in this Tinkventor Camp which focuses on computational tinkering and prototyping. Participants will dive into real-life scenarios and design a solution. They will also learn coding along the way. Prototypes will get to be showcased. Sports Camps SG helps expose every child to sports through this multi-sports camp that’s also designed to build confidence, friendship and skills. Children will be doing up to eight different kinds of sports in three days! Suitable for children aged 6 to 12 years. When 19 to 21 March, 9 am – 3 pm. More dates available in April. Cost $350 per child. Sibling discount available. SingaporeMotherhood.com readers get a 5% discount. 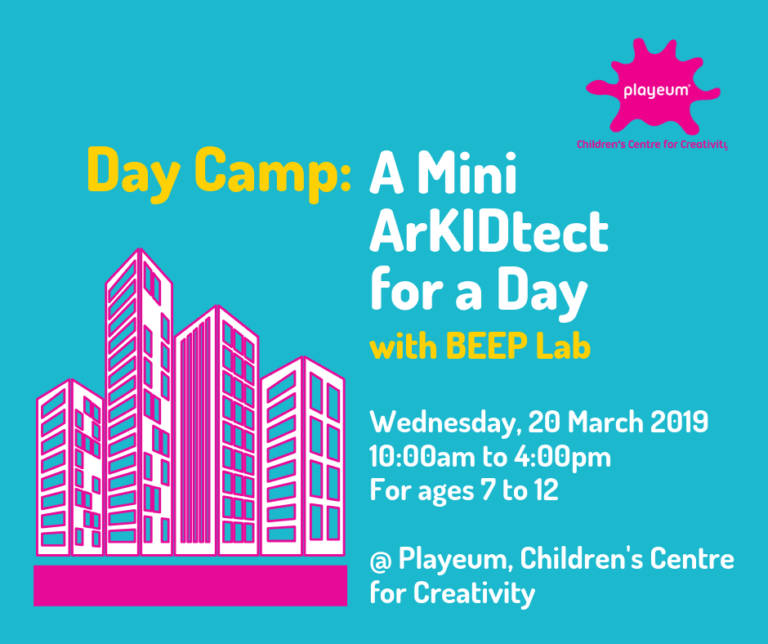 BEEP Lab’s A Mini ArKIDtect for a Day camp lets budding builders aged 7 to 12 can explore a designer’s thought process, observe and explore culturally rich heritage buildings in the area, and learn the different elements of sketching such as perspective, proportion, shadows and textures. Each camper will bring home his or her own 3D pop up card at the end of the camp. Watching YouTube vs creating YouTube content. Which would you prefer your child to do? This three-day camp by Zettonia Tech teaches children to use Roblox to imagine, create and play together in the virtual worlds. 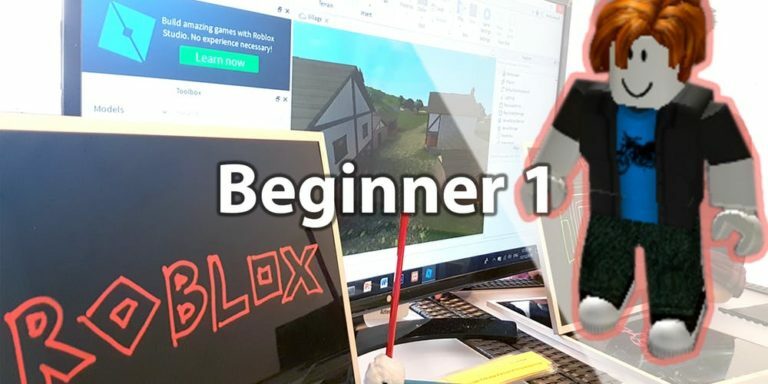 Suitable for 9 to 14 year olds, but they’ll have to bring their own laptops. 31. 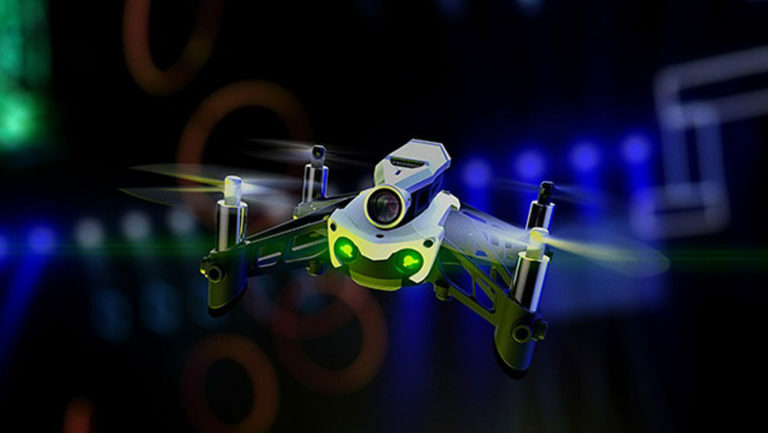 Make-Your-Own Drone and Fly It! Keen to build your own drone? 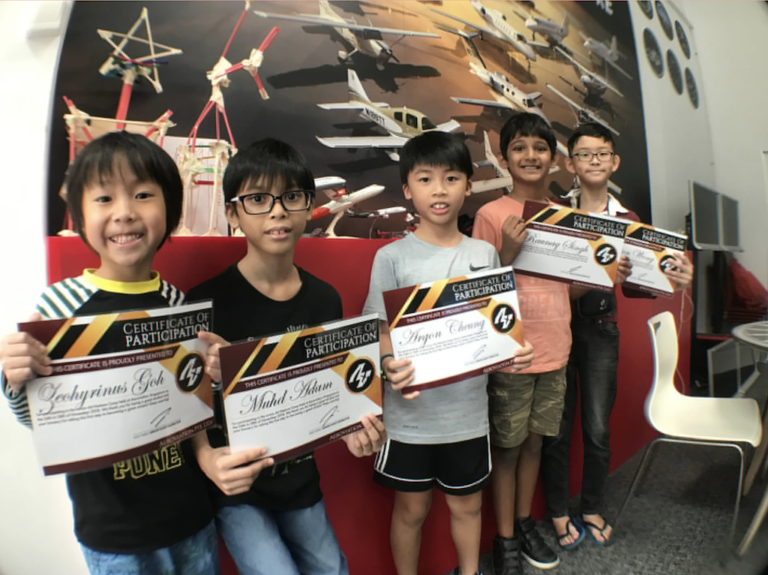 In this interactive workshop, your children will not just build a drone, they’ll also learn about the principles of flight, aerodynamics, material science, centre of gravity, forces, gyroscopic torque, and more. Best for children from 10 to 14 years old. Cost $200 per person for members, $250 for public. Including lunch. As a part of Raffles in South Asia exhibition, families can wander through ACM’s first fruit market and have a cup of bubble tea on the house (while stocks last). They can also take part in a puppet performance, enjoy fusion music performances, or decorate a kite for a community art installation. 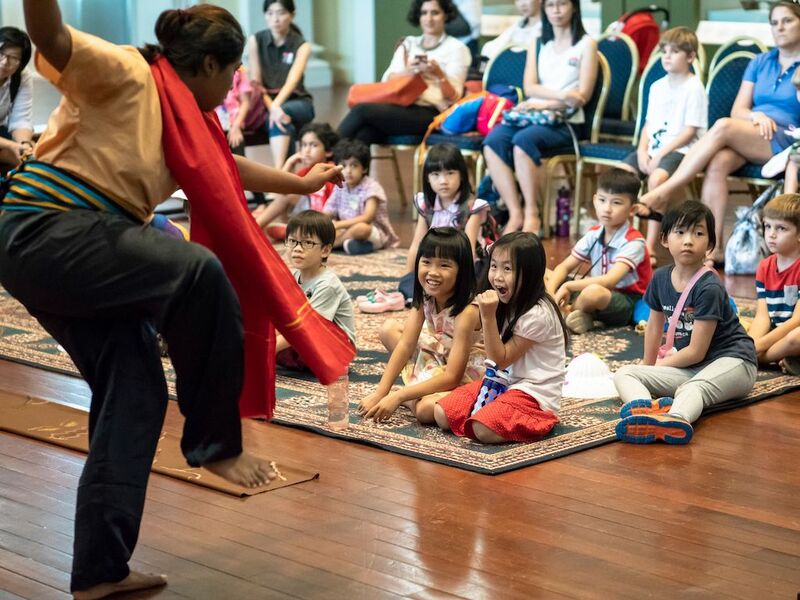 A special Saturdays@ACM program for this week showcases Singapore HeritageFest and Asian Culture & Music through puppet performances, old-school games and painting miniature Raffles gnomes. Don’t miss it! When 29 March, 7 – 9 pm, 30 March, 1 – 9 pm, 31 March, 1 – 5 pm. Saturdays@ACM is from 1 – 5 pm. Cost Admission to Wanderland is free. Admission to the Raffles exhibit is $5 (u.p. $12). 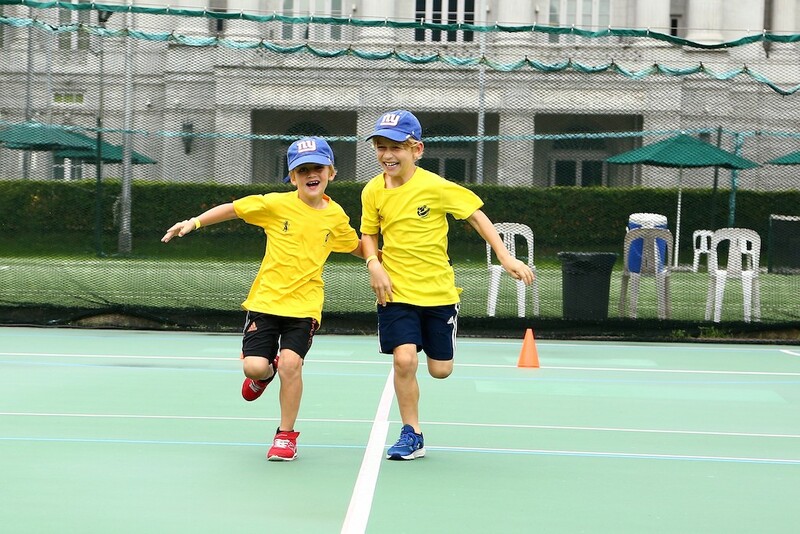 Children from two to six years, gather here to learn the basics of various sports at one go! Coaches from Vivo Kinetics will focus on helping kids build motor skills, hand-eye coordination, balance, and agility. These Multi-Sports workshops are conducted over 12 one-hour lessons. Workshops for babies are available, too. Climbing is a sport that helps train focus, discipline, and determination. 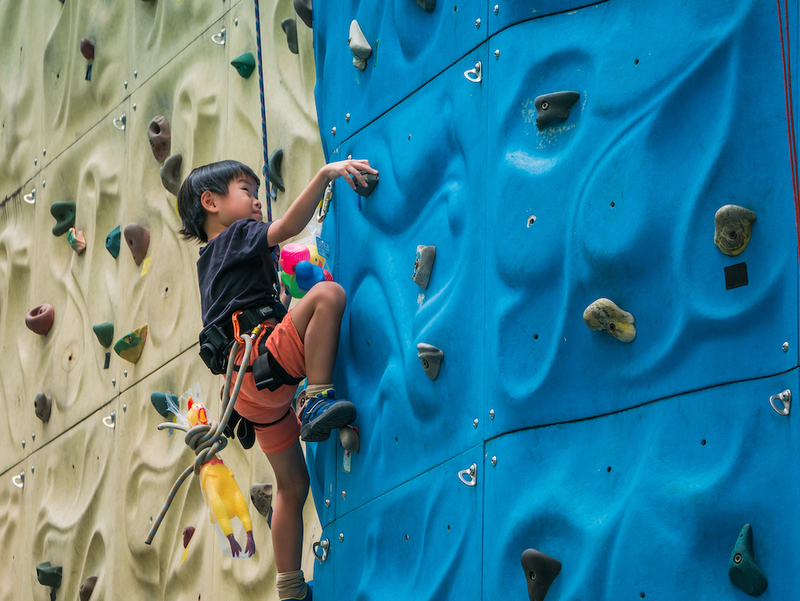 Let kids develop these traits ith the Ministry of Adventure’s one-on-one sessions, where they will learn the ABCs of climbing as they reach for the sky. This is suitable for children aged 4 to 12 years old, and parents are welcome to join in as well!